This is a curved rectangular Aunt Jemima Flour porcelain sign. This particular Aunt Jemima Flour sign is predominantly white with black and red text. 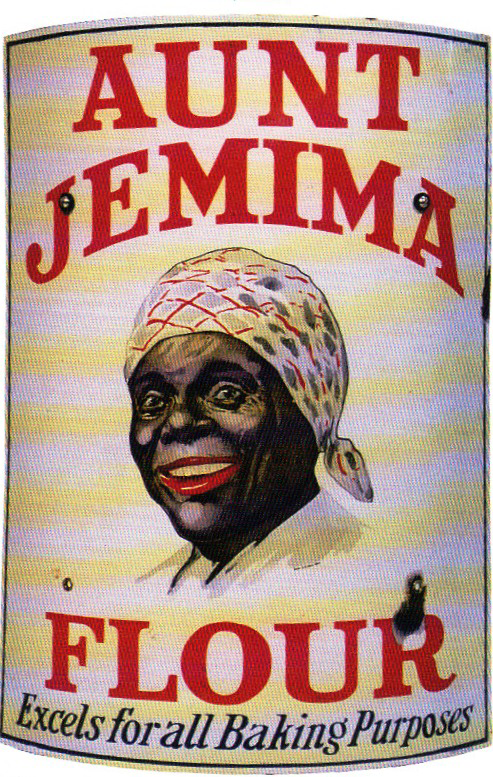 It reads, “Aunt Jemima Flour, Excels for all Baking Purposes” and features a smiling black woman wearing a headscarf.